“Who ya gonna call? ” Everyone! 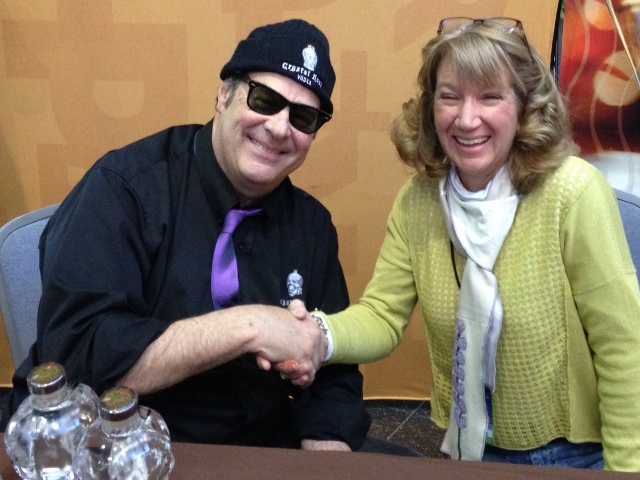 I got to shake hands with Dan Akroyd at the Flower Show! By now you know, if you have been keeping up with our blog, that we were at the Flower Show in Philadelphia a little over a week ago. But what you may not know is that we had a brush with fame. Yes! In the aura of a true celebrity. It was Friday afternoon and all week long we had seen posters on our way down to the booth advertising the fact that Dan Akroyd would be in the Convention Center entry hall from 2-4pm signing bottles of his “Crystal Head Vodka.” So when a man wearing a black button-down shirt with the “Crystal Head” logo embroidered on it wandered into our booth, it didn’t take much of a leap in logic to figure out that he was with the Akroyd entourage and most likely, the other man with him as well. Brief conversation confirmed our assumptions. The man in black, David, asked, “Hey, are you going to go out and get a bottle of vodka signed?” We recluctantly replied that, though we’d love to, the booth was much too busy and likely to remain so. Sadly, we wouldn’t have time to stand in line. Giddy indeed. Why weren’t we thinking? 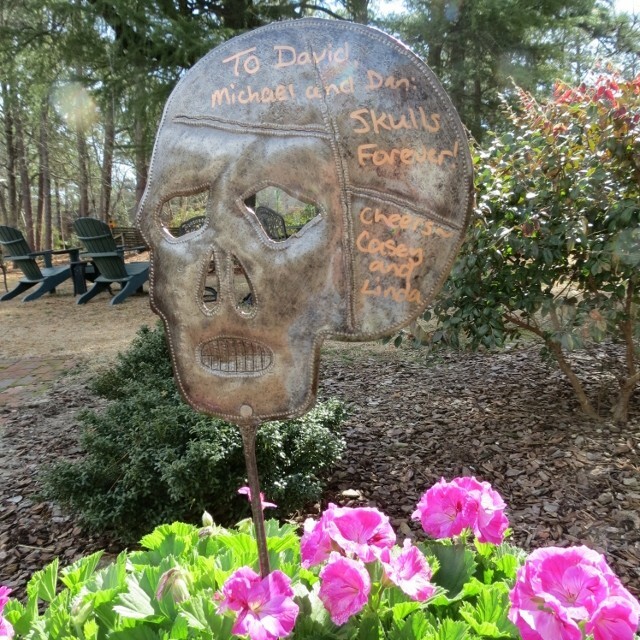 Why didn’t we take up three of our skull stakes and give them Haitian metal with OUR autographs and OUR compliments? How fun would that have been? One good turn deserves another, does it not? Coulda, shoulda, woulda…. !